Could video games help fight depression? 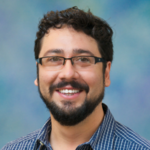 Jorge Pena, associate professor in the department of communication at the University of California Davis, explores this question among college students. Jorge Peña specializes in computer-mediated communication, new media, communication in video games and virtual environments, and content analysis of online communication. He is a member of the editorial board of Journal of Computer-Mediated Communication and is currently vice-chair of the Game Studies Division at the National Communication Association. The American College Health Association estimates almost a third of college students report feeling depressed across the United States but only 14% of them seek medical help. Current research shows that certain types of video games can be an effective way of handling depression symptoms. Working with 160 students with mild depression, we used message prompts that depicted depression as either an externally or internally caused condition, that can be treated using cognitive tasks adapted as games. Participants played six games in a self-help app after reading specially designed persuasive messages. The games in the app were adapted from neurophysiological tasks shown to stimulate cognitive control. Participants spent more time playing the games and performed better when the message depicted depression as a condition triggered by everyday stressful situations. This increase in interest with the games was likely a knee-jerk reaction to reduced helplessness from the threat of environmentally induced depression. Based on self-reports, participants reported more willingness to use the app when they read a message prompt that conveyed depression was a condition of brain chemical imbalance instead of an environmentally induced state. Overall, we show that people can be nudged to engage with self-help games when they believe depression is triggered by everyday life stress, because it gives them a pre-emptive method to protect themselves from depression.